I took a couple of pictures of the game which Nick Matthew came out as a winner. 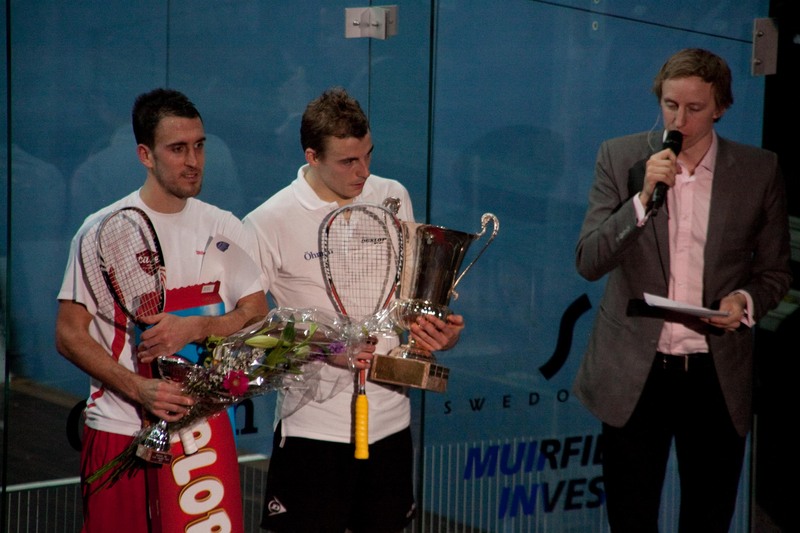 The picture in the right is a moment after Nick Matthew interviewed by the host and Nick wore a black short. 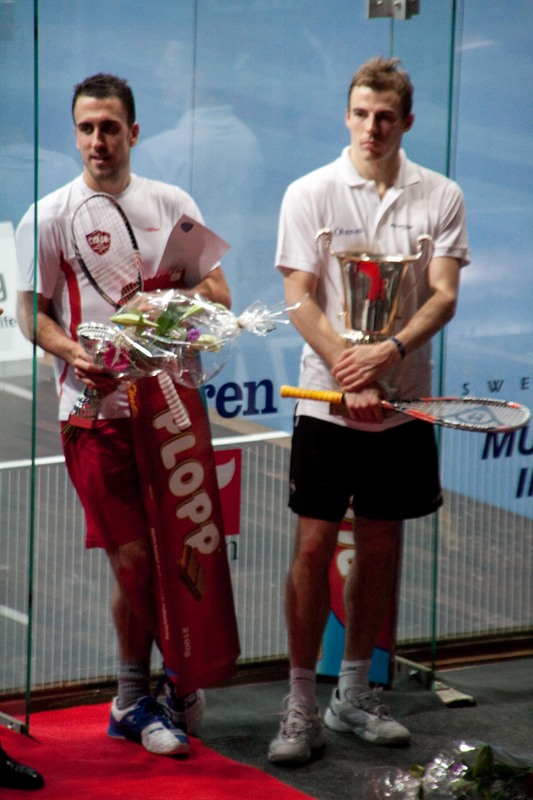 Peter Barker the other finalist wore a red short and holding huge chunk of chocolate 🙂 Both of them are British. It was a brilliant game and two hours trip by car was worth it. Definitely next year I’ll try to buy ticket earlier so I can get a good spot to take good pictures. I took a couple of other pictures but I’ve been thinking to put it in different post where I can put more pictures and lite more description about the game. Mean while, I need to prepare for my seminar tomorrow. Yup… that will be the last seminar for business science subject. Tuesday, Wednesday and Thursday will be my off day but not really free days because on Friday I’ll have a big exam which means that I need to go to library and study really hard to score well. I also need to write a report for my project. Huff… I have to get going now. So folks… see you again tomorrow!